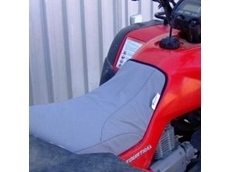 ATV and motor bike canvas seat covers that are simple to fit, hard wearing and keep seats cool. DBG Engineering designs and manufactures machinery for agricultural applications. Patch's Canvas Manufacturing, servicing the trucking, farming, commercial and private sector. 15/02/10 - Mulders manufacture quality, custom equipment covers to protect valuable outdoor furniture, appliances, and machinery.